The content described here was removed from the game after Update 11. 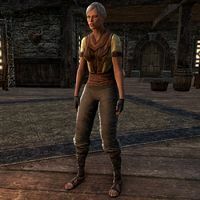 Madame Lemaitre is a Redguard noble found inside her manor which is located in the Residential District of the city of Wayrest. She cannot be spoken to. This page was last modified on 18 October 2017, at 03:41.